Unlike the majority of social media sites, LinkedIn is business oriented and focused on networking. This allows it to stand out and has contributed to its immense popularity. However, as we’ve mentioned in the past, as with any form of social media, the more popular a network is, the more likely the chance of security issues. With the site’s focus on professionalism, it is safe to say that the risk of someone sharing embarrassing photos with too public of an audience shouldn’t be an issue. Well if you are sharing those types of photos on LinkedIn, you may want to reconsider how you are using the platform, because that is not what it is for. Much like other social sites, a user’s profile still generally contains quite a bit of information, so keeping track of your privacy settings and ensuring your account is properly secured is still extremely important. The privacy settings on LinkedIn are a little bit complicated. However, they are luckily all in the same place. When you log into your account, hover your mouse over the small picture of you in the top right corner, and then click on where it says “Privacy and Settings.” A lot of options will appear, but some are more important than others. Perhaps the most important is the one that says “Select who can see your activity feed.” In this case we recommend selecting “your connections,” which is also the default setting. This means that only your connections, who you have to approve of, are able to see the activity on your profile. Similarly, there’s an option that says “edit your public profile” which allows you to specifically choose what people who you are not connected to can see on your profile. You can also choose to limit who can see your connections. Being publicly linked to so many people may make it easier for someone to find out more information about you. Allowing only you to see your connections helps protect your privacy. 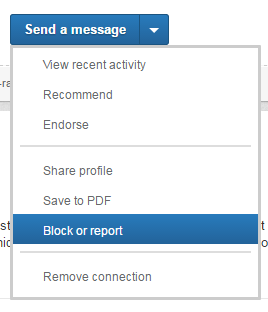 Finally, LinkedIn’s default settings allow for people to know when you view their profile. However, you probably wouldn’t want most people to know every time you view their profile, so you can change the setting to make yourself anonymous. We may sound like a broken record at this point, but we will say it one more time: strong passwords are vital. Be sure to change your passwords regularly and to never re-use them to ensure your accounts stay protected. And even then, it’s important to have a strong password that cannot easily be guessed. If you’re unsure how strong your password is, you can always check using Kaspersky’s Secure Password Check. If you do get a request from someone that you don’t know, but it seems like they might be able to provide a great opportunity for you, you should at least investigate their profile to see if anything seems off. Fake profiles tend to make the person seem like they have a very high position at a certain company. However, they also show a person who appears to be quite young, which should cause some skepticism as someone that young likely wouldn’t have such a high-up position. In addition, a person who has achieved so much success would be likely to have a whole lot of connections, so if their number of connections seems small, that should raise a red flag. In the end, if you are at all skeptical, you should not accept the connection request. If you know for a fact that someone has a fake profile — particularly if it is a fake profile pretending to be you! — be sure to report the account immediately. To do this, click the small down facing arrow next to where it says “Send a Message” in the person’s profile, then click “Block or Report” in the drop down bar. From here, click “report” and select the reason why you are reporting the profile. You may also provide extra detail if you believe it’s necessary. LinkedIn will then review the profile and if it deems it as fake it will delete it. LinkedIn has also been the target of various scam and phishing messages. These messages often promise an amazing job or opportunity, but eventually require the user to provide some sort of financial information. Never, ever give out your financial information to an unknown source on LinkedIn. And if you receive a message that appears to be spam, be sure to contact LinkedIn directly to inform them of the message you received. 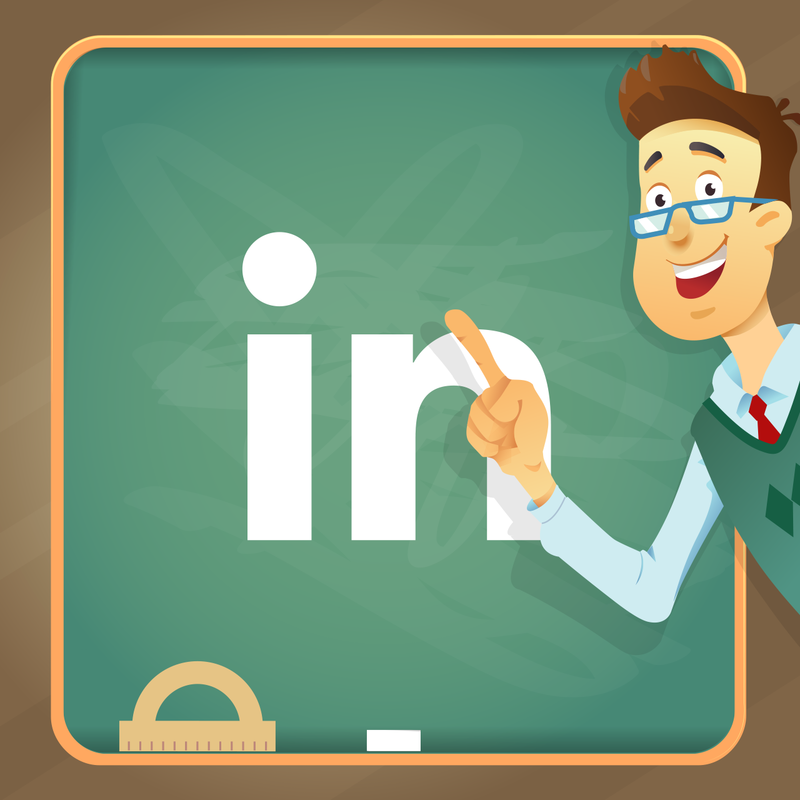 Follow all these tips and you’ll ensure that your LinkedIn account stays safe and secure. If you want to know how to secure more of your social media accounts, we’ve got tips available for Facebook, Instagram, Google+, Snapchat, Tumblr, and Vk.com. If there’s any other tips you think we missed, let us know in the comment section below.